Won Axiom Award Silver Medal (2018)! “People don’t leave an organization; they leave a boss” has become a truism in the workplace for good reason. Often, that boss causing the retention problem has moved from buddy to bully unintentionally. The boss has been promoted from supervisor to manager or from manager to senior executive with brilliant technical skills but without the accompanying leadership and communication skills for the job. As a result, these leaders—whether new or seasoned—are stuck in micromanagement mode. This book helps them get unstuck. Communicate Like a Leader prevents micromanagement by providing principles to help professionals think, coach, converse, speak, write, and meet strategically to deliver results. 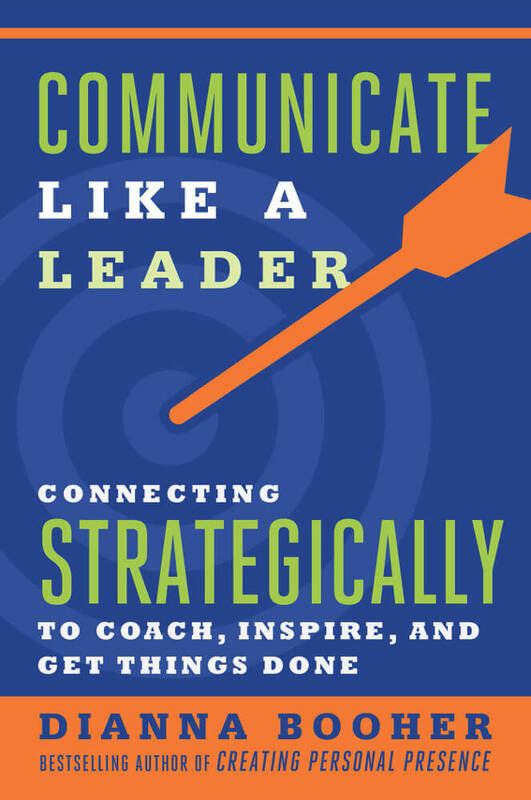 Great leaders are great communicators, as Dianna Booher points out in this smart, useful book. If you want to become a top-notch strategic communicator, you’d do well to heed the advice in its pages. If you’re a micromanager, you need to know it’s not just ineffective—it’s also the most labor-intensive leadership style. When you read Communicate Like a Leader, you’ll learn strategic communication skills that will improve your relationship with your people and actually make leading easier. Dianna Booher is the communication guru of the 21st century! Everything they didn’t teach you at Harvard Business School — but should have — about leadership communication in the real world of work. Dianna Booher’s brilliant new book, Communicate Like a Leader, is the single-best communication guide I have ever read. In it there are 36 clear, concise, relevant, and practical bits of strategic advice on how to connect with others. No fluff. No wasted words. All substance. I guarantee you that there is something in this book that you can use immediately. And more that you can apply tomorrow and the next day and the next. Buy this right now, read it as soon as you get it, and then put Dianna’s expert advice to work for you. You will be very glad that you did. More than a mere treatise on communication, this is an extremely practical and actionable book about becoming a better leader. It happens that leaders do their work by communicating and Booher provides valuable tactics to use in a wide variety of circumstances. Every reader is guaranteed to take away some useful practices. Communication and leadership are critical for all success. Dianna Booher is an expert on both fronts and an author of 47 books! Learn from her wisdom. Buy this book, read this book and learn from the very best – I do! Dianna Booher has done it once again. This book is a must read for anyone seeking clear, practical and actionable advice. Great leaders have one thing in common: they are all great communicators. They have discovered how to convert their keen awareness into ideas that speak to one’s emotions and ambitions. They understand that if their message does not take deep root, it will likely make little difference in shaping outcomes. In her newest book, Communicate Like a Leader, Dianna Booher calls upon her vast body of work to create an inspirational playbook for leaders in pursuit of excellence. A must read for people seeking to propel their career. Managing Director, Operations, Hilltop Securities Inc.